Is this a UFO coming out of the ocean in El Salvador? So UFOs tend to stick to the oceans and flying in and out of the water? 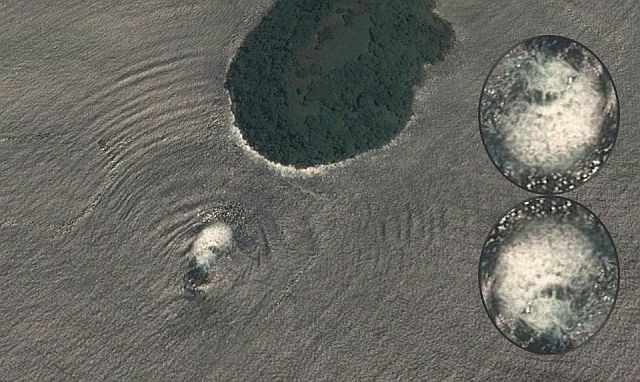 Now look at this satellite image of the Gulf of Fonseca near the Island of Meanguera in El Salvador, it shows a very strange unknown object in the sea that generates strange patterns on the water. 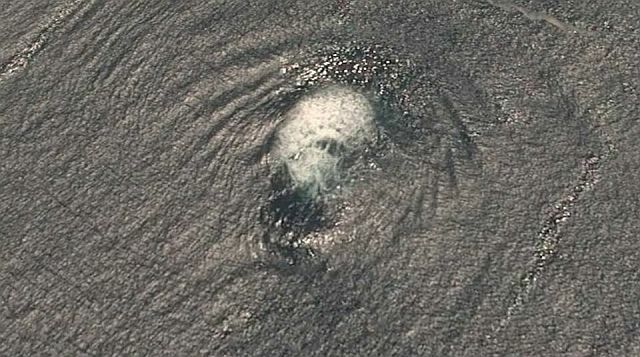 According to researchers it is a natural maritime phenomenon but I don’t buy it. What kind of a natural phenomenon can create such strange patterns and ripples in a further perfectly calm ocean? 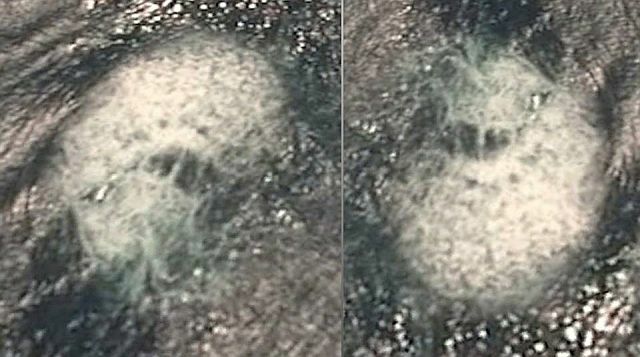 There is much discussion as whether it is a natural phenomenon or a UFO coming out of the water or going into the water.